CSK officials met Tamil Nadu Chief Minister Edappadi K Palaniswami and handed over to him the cheque. Just as fans never fail to cheer their team up irrespective of the players’ performance on the field, it also becomes a key responsibility of the team to pay back the gratitude in some form. One of the most successful franchises of the Indian Premier League (IPL), Chennai Super Kings (CSK) recently came up with the social responsibility of donating money to the chief minister’s fund in the wake of the mayhem caused by the recent Cyclone Gaja in the state of Tamil Nadu, where the team is based. And the act was winning a lot of hearts. On Wednesday, Chief Executive Officer of the CSK KS Viswanathan, along with India Cements vice-chairman and Managing Director N Srinivasan and its president Rakesh Singh met Tamil Nadu Chief Minister Edappadi K Palaniswami and handed over to him a cheque of Rs 1 crore to facilitate the relief work which is being carried out in the wake of the natural disaster that saw 3.5 lakh people getting displaced and accommodated in relief camps. The cyclone had particularly affected the delta districts and several bodies have extended a helping hand to rehabilitate the victims. It was reported that the contributions made to the chief minister’s relief fund were worth almost Rs 50 crore. CSK posted a photo on Wednesday showing the top officials of the franchise and India Cements, including Srinivasan handing over the amount to the CM. It also said in the caption that it was time to give back to the society, something which speaks about the franchise’s true commitment to sporting spirit. 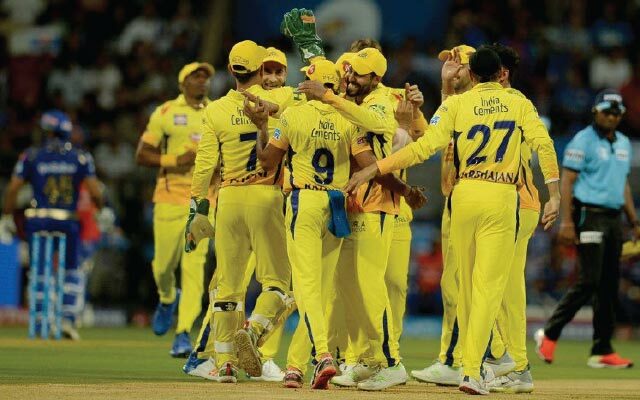 The CSK returned to the IPL in the 2018 edition after serving two years of suspension in relation to a betting scandal and won their third title straightaway under old captain Mahendra Singh Dhoni who did it for them thrice now. The yellow army will now look forward to a fruitful auction later this month and do their best to defend their title in the 2019 edition. Get the latest Cricket News and updates from Indian Premier League, Match Predictions, Fantasy Cricket Tips and lots more on CricTracker.com.